From Glasper’s Everythi’g's Beautiful album. Robert Glasper, who recently co-produced the soundtrack for the Miles Davis biopic Miles Ahead, is releasing an album at the end of May that combines original Miles Davis recordings with additional arrangements from Glasper. 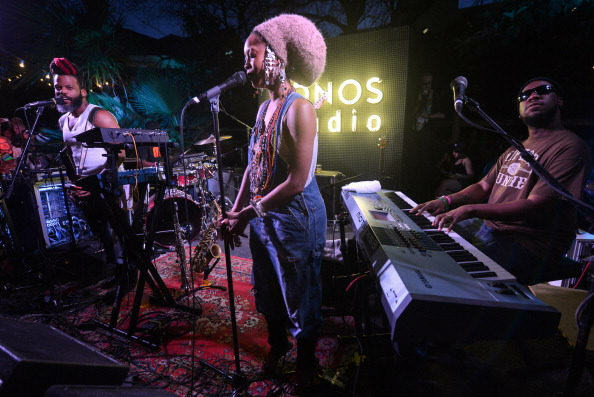 Everything's Beautiful will also include contributions from Stevie Wonder, Hiatus Kaiyote, and Erykah Badu, who is featured on the most recent offering from the album "Maiysha (So Lost)". The song, which was premiered today by Rolling Stone reimagines Davis' 1974 bossa nova cut from Get Up With It. Hear the collaborative effort from Glasper, Badu, and Davis below and look out for Everything's Beautiful on May 27 via Sony Music.